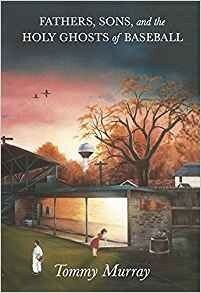 Fathers, Sons, and the Holy Ghosts of Baseball by Tommy Murray. Time often slows and even stops in the small town of Cottage Park, Iowa. In fact, time is best measured not by the hands of a clock but by the innings of a baseball game. Praying and playing baseball are two of the town's primary activities. Actually, they are one in the same in a town where baseball is a religion. Still, time does eventually flow on. Much like the Des Moines River just outside Cottage Park, time leads to the site of the 1974 Iowa high school baseball tournament. Cottage Park's Holy Trinity High School has never won the Finals. The team's three elderly coaches vow to at last anoint themselves champions before they retire. For the players, the road to the Finals is a confirmation by fire--a rite of passage before they must face adulthood. Fathers, sons, and the holy ghosts of baseball join together in the quest for the Finals. Along this journey, young and old alike ultimately learn you must sacrifice before you can gain and sometimes you must lose before you can win.